It was a relief to see the sun again this Sunday. I came back from Africa a week ago and I haven’t seen any trace of the sun since then. It was a real shock to come back from the bright, high contrast landscape of the tropics to unremitting grey pallor that covered Fife all this week. After spending a couple of weeks recovering loggers from tagged whinchats I can understand why – as their logger tracks tell me – the birds had migrated 6,000 km from east of Moscow or the Ukraine or Poland down to spend the winter in the middle of Nigeria. It’s a long and dangerous flight down there for sure, but once there it’s always warm and dry and there is plenty of food. The whinchats spend over half their year in Africa and have fantastically high survival when they are there. Life’s always a trade-off but for them the perils of migration are outweighed by a very benign and pleasant winter environment. And the migration may not be as difficult as it seems for some individuals. 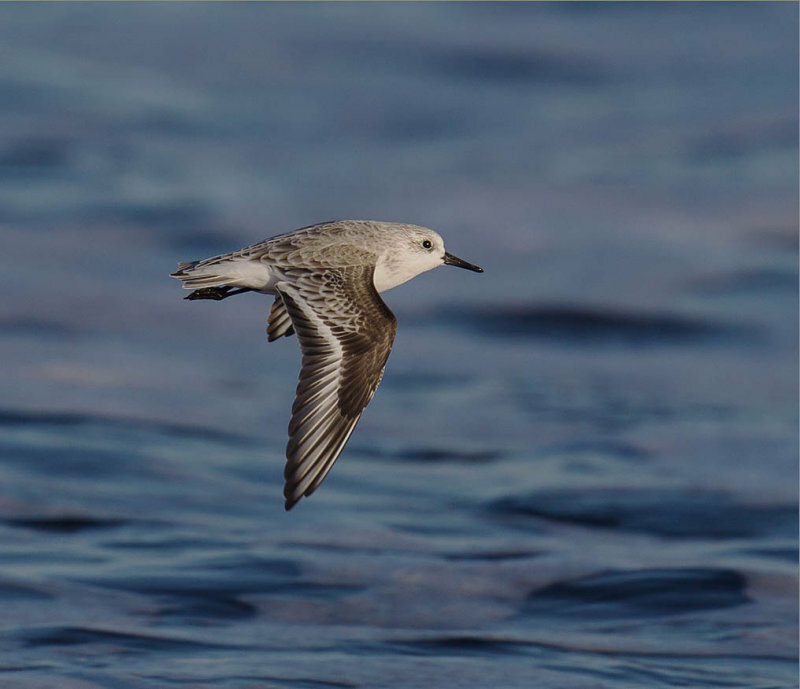 One of the most exciting findings from the loggers is that at the end of the winter over half the birds we have got back flew directly over the Sahara in a single flight from their wintering territory to the north coast of Africa in Tunisia or Algeria. A single continuous flight of more than 2,700 km. 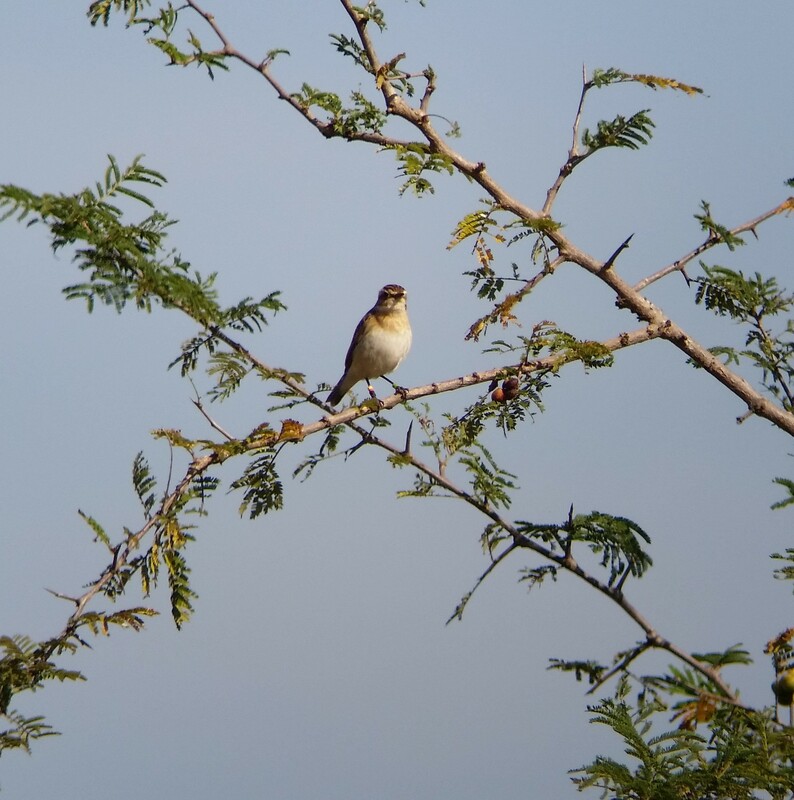 Some whinchats then reached their final destination in just 12 days, making it look easy. But we don’t get any tracks back from the birds that fail – we have to get a logger back from a bird to recover the data because they are too small to have a transmitter. About 45% of them do fail to come back, so for many it is a difficult journey and I suspect that if I could see the tracks of the failures most would stop crossing the Sahara or the Mediterranean. But back to Crail and this Sunday was at last a perfect East Neuk day to make up for the week before where I could barely see the sea through the murk never mind anything on it. There were a dozen sanderling on the beach at Balcomie, foraging on the high tide with redshanks and turnstones. As I watched them I noticed the flies. A blizzard of seaweed flies taking advantage of the windless, relatively warm day to swarm. It has been relatively mild while I have been away and today the air temperature was up to 11 degrees and of course much warmer in the rotting seaweed piles and in sheltered spots in the direct sun. Once I started looking I saw flies everywhere, even inland. There was a very late swallow reported from Anstruther earlier this week: today it would have had a feast despite it being nearly December. Still I expect it is already in France or Spain by now and hurrying away from the inevitable colder weather that will come next month. The robins were enjoying the bonanza though, flycatching up and down from every gorse bush. I am missing the gannets. They are away on their two month holiday down in the Bay of Biscay. It’s much duller out to sea now. The long-tailed ducks are a consolation at this time of year. There were about 8 out from Balcomie Beach this Sunday. There was also a steady stream of red-throated divers suggesting that this winter is likely to be a good one for them. Some winters there can be a hundred between Fife Ness and Crail, others only a handful. With the short very dark days this week it has been perpetual twilight. Not to my taste perhaps but great for the local kestrels that specialise at hunting at dawn and dusk. I have been seeing them regularly on the telephone poles between Crail and St Andrews on my commute, interspersed with the occasional buzzard like a mini eagle in the gloaming.